I grew up on Sunday Lamb Roast, and I absolutely love the entire process. The cooking, the sitting down to eat and yes– even the tidying up! So imagine my surprise when my little Mr doesn’t like potatoes or roast veggies. Hence, the creation of our unconventional lamb roast! Mix Quinoa, kale, pine nuts, feta, peper corns, and onion. 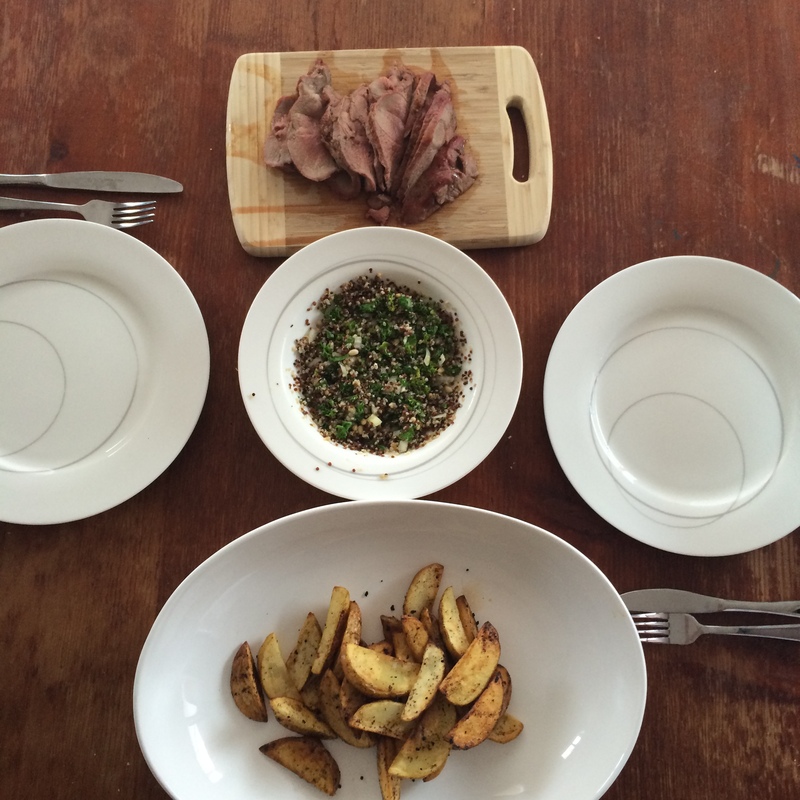 This entry was posted in What we're eating and tagged Food, food blogger, Healthy eating, recipes, Roast, Sunday roast, weber Q.